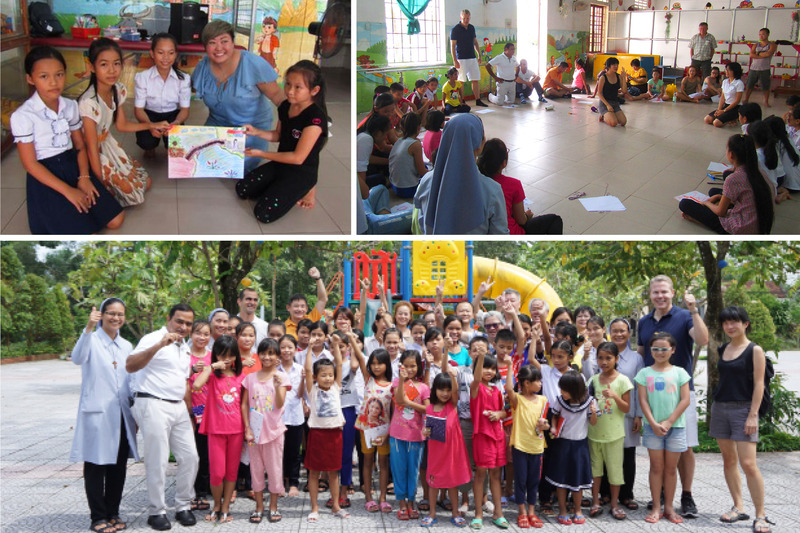 On 25th Sept, Laguna Lăng Cô was pleased to accompany with a group of 8 guests to organize a fun drawing and musical session to more than 30 local disabled children and nuns in Nuoc Ngot social protection center. The activity used music and art as the tool for enhancing the development, bringing joy and connection for all participants, particularly the disable children. On this day, the deaf children was encouraged to draw freely and creatively based on the simple and familiar shapes. The music section was also fun, in which, all of participated children and nuns were inspired to try to play the drum, trumpet and group dance follow the music melody. The event ended warmly with the lovely dance and singing performance from children in center. 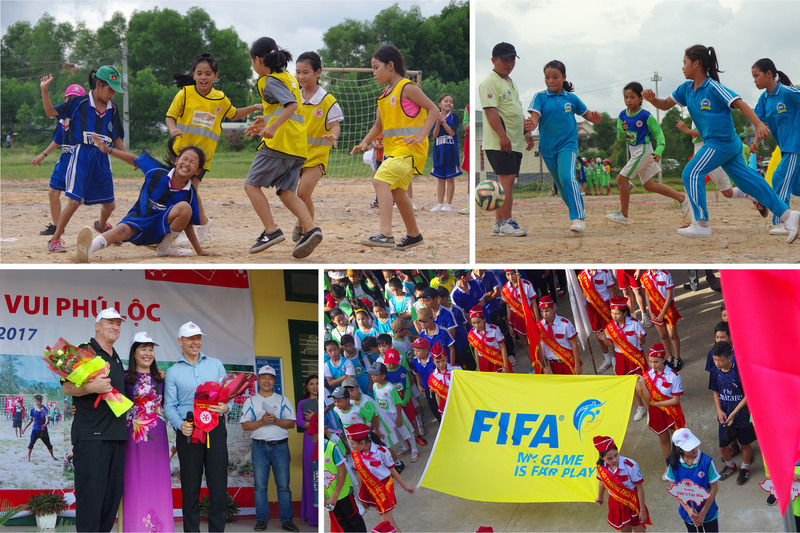 On 24th Sept, Laguna Lăng Cô accompanied with Football For All in Vietnam organization (FFAV) to organise a Fun Football Festival for over 1200 students from 14 local schools in Phu Loc district. The 1 day event was celebrated with the purpose to encourage the sport spirit, enhance the life skill such as team work, communication etc, through football and traditional group games, as well as bring the opportunity to our children in different communities to get fun and closer together.